The world’s first national radio station for prisoners. Made by prisoners, for prisoners. Porridge is the world’s first national breakfast show made by and for prisoners. 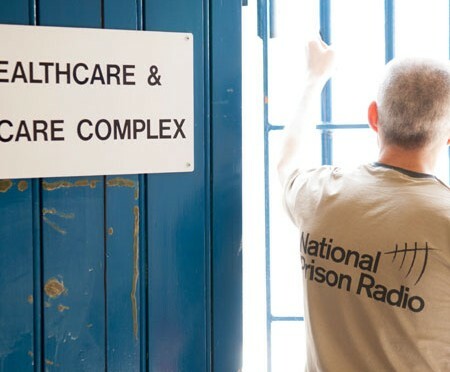 It is National Prison Radio’s flagship programme and provides an uplifting and positive soundtrack to the start of the prison day. Prisoners do not have access to the internet. Newspapers are a luxury and literacy levels are low. The focus in Porridge is information, a vital and scarce commodity in prison. One of the regular features of the programme is The Prison News, a summary of news from the world of prison and criminal justice. The show also features interviews designed to motivate the audience to take responsibility for their own lives, and reports on issues affecting all prisoners. Presented by prisoners, Porridge uses a familiar format of light-hearted speech and music to make topical subjects relevant to inmates and create a feeling of community. When sentenced, nearly two-thirds of prisoners have serious drink problems, and up to 50% are problem drug users. 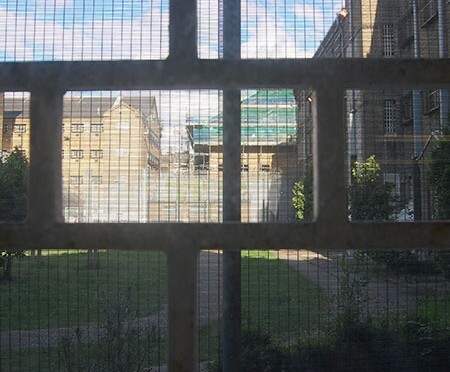 Poverty, poor housing, physical and mental health problems, low educational attainment – the issues that affect prisoners are manifold and serious. Featuring interviews, in-depth discussion and reports, Prime Time is National Prison Radio’s gritty response to these issues: an award-winning daily magazine show which shines an unforgiving light on the real lives of prisoners and gives voice to their concerns. It highlights the causes and effects of crime and imprisonment on prisoners, their families, the victims, and society as a whole. The programme is a co-production between the PRA’s projects at HMP Brixton and HMP Styal, and includes sensitive and very personal stories from prisoners across England and Wales, including much needed female perspectives from women serving time at Styal. Working with agencies from across the justice sector, Prime Time encourages prisoners to think about their own situation and take responsibility for their problems, giving them constructive information about the support that is available to help them stay away from crime upon release. While music is part of everyday life for most people, the overwhelming majority of prisoners do not have access to a radio or a stereo. 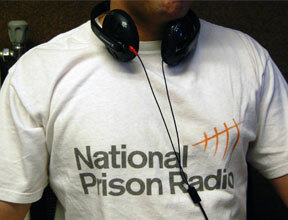 National Prison Radio therefore represents the only way most prisoners can listen to music. No programme on National Prison Radio has done more to encourage the audience to contact the radio station than The Request Show. It has become so successful that it has developed from a weekly, to a daily show. The show helps foster a sense of community within the prison system. It’s a friendly and human voice in an environment often dominated by macho posturing and personal insecurity. Hindley Young Persons’ Entertainment, or HYPE for short, is a weekly show produced by the lads at HMYOI Hindley. 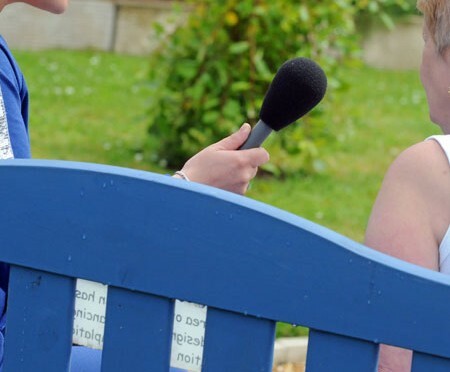 Young people in prison face very specific challenges, and National Prison Radio aims to support them by creating a special corner of the broadcast schedule where they can hear content specifically for them. Every prisoner remembers their first night in a prison cell. For most, it is a disorienting and stressful experience with a heady mix of emotions at play: fear, anger, confusion, worry, uncertainty. There is also a mountain of information and rules which prisoners have to learn very quickly, and getting used to this new environment can be difficult, especially for the large proportion of prisoners who have low literacy levels. Featuring the voice of Norman Stanley Fletcher, aka Fletch from the sitcom Porridge, The Information Centre is broadcast every week to give new prisoners the information they need to get by in prison, in an easy-to-understand format. It introduces essential rules of conduct and new processes, from making a phone call to applying for a medical appointment, and provides a friendly and accessible point of reference for all newcomers bewildered by their new surroundings. Release from prison can be a time of great difficulty and anxiety. Many prisoners face serious practical challenges in the form of finding accommodation and employment and managing finances and debt. For many, there are the added pressures of rebuilding relationships and avoiding the factors which helped lead them to prison in the first place. 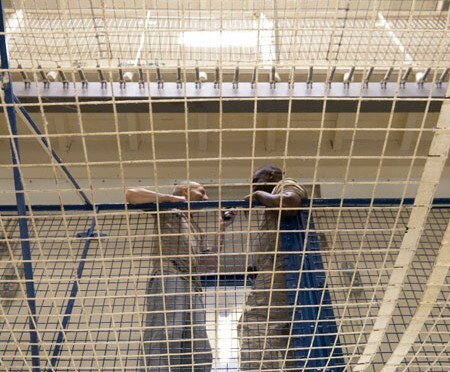 Former prisoners Curtis and Richie brings the outside world inside the prison walls. Having first-hand experience of being released from prison, they are great role models with stories to inspire others to consider what’s next for them. Outside In features interviews with a range of people, including many former prisoners, to offer practical advice and support to listeners nearing the end of their sentence. 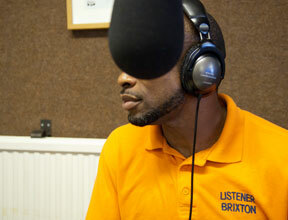 It is through The Brixton Hour that National Prison Radio retains a vital link with its predecessor, Electric Radio Brixton. This programme is essential listening for anybody serving time in this busy and often chaotic south London prison. The show creates a much needed sense of community; it is where Brixton’s prisoners can share their experiences honestly, openly and in safety, boosting their often shattered self-confidence and inspiring one another to turn their lives around. The Brixton Hour includes high quality packages and features designed to promote services and opportunities available to prisoners in Brixton, as well as providing vital information, and inspiration, in an environment where both are often in short supply. The PRA works with prisoners and a variety of voluntary and statutory organisations, to identify the most important issues faced by prisoners. As well as featuring these in daily programmes, National Prison Radio also has a calendar of social action campaigns which focus on issues of particular importance or urgency. Recent campaigns have varied from a series of short promotional features on drug and alcohol awareness, to a one-day focus on smoking, and a month-long campaign about learning to read whilst in prison. The PRA teamed up with the Arts Alliance, Clinks and Geese Theatre Company to deliver a national creative writing competition for prisoners. 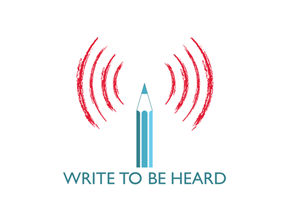 Broadcasting a series of programmes recorded at creative writing workshops in prisons across the country, we aimed to give the audience the inspiration, and some practical tips, to get creative ideas out of their heads and onto the page. The campaign culminated with a series of programmes recorded in front of a live studio audience, and presented by the poet Mr Gee, featuring readings from some of the best entries. 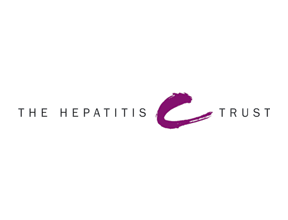 To mark World Hepatitis Day, the PRA partnered with the Hepatitis C Trust to produce a documentary and a series of short reports designed to break the taboo around Hepatitis C in prisons. The programmes dispelled common myths, provided accurate information and gave an opportunity to listen to testimonies from people who had contracted and overcome Hepatitis C in the past. 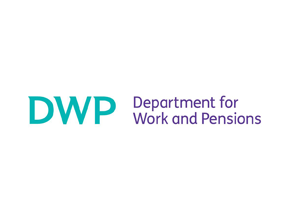 To encourage prisoners to sign up for Work Programme before leaving prison, the PRA developed a weekly Prime Time feature for the Department for Work and Pensions, called Jobcentre Don. The feature ran over three months, and featured Jobcentre Don answering listeners’ questions about employment, benefits, and how to make the most of your time in prison to prepare for the job hunt and employment after release. Lack of basic skills and education contributes significantly to reoffending. Over two-thirds of prisoners report that having a job upon release would help to them stop re-offending. 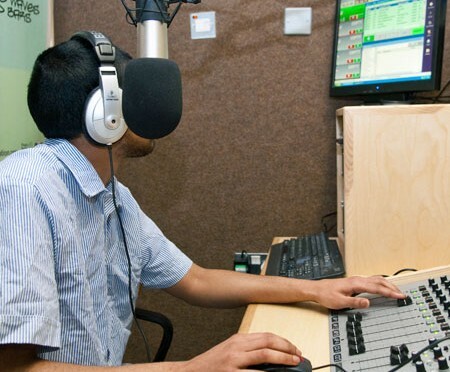 In September 2012, National Prison Radio broadcast a three-week campaign focusing on the courses, workshops and services available in prisons to help prisoners gain qualifications and careers advice before release. 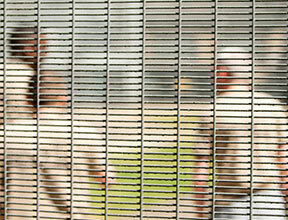 During the campaign, over 80 prisoners called the free-of-charge NPR Information Line requesting further information on a range of career paths. The PRA worked with the National Careers Service to provide advice fact-sheets focusing on different job profiles and skills such as CV-building and interview techniques. Drug use amongst prisoners in custody is rife. 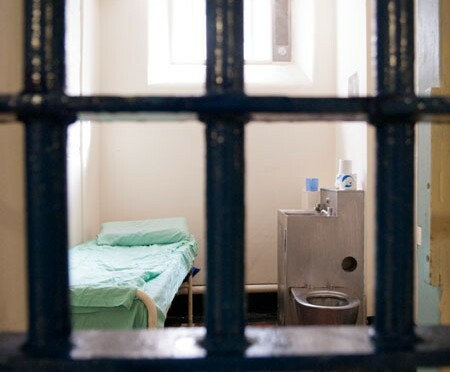 As many as 40% of prisoners use drugs at least once whilst they are in prison. In some cases, this can lead to the development of a drug problem – around 7% of men surveyed by the Inspectorate reported they had developed a drug problem in prison. 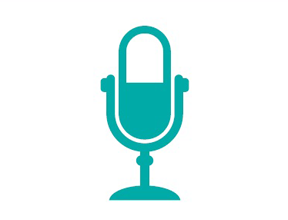 In May 2012, National Prison Radio broadcast a month-long campaign tackling substance misuse. The campaign highlighted the dangers of drug and alcohol abuse, the positive impact of breaking free from addiction and the promotion of services and opportunities available within prisons to help people do so. Working closely with substance misuse providers in prisons, including Phoenix Futures, RAPt, Lifeline and the Avon & Wiltshire Partnership to promote the range of treatment options and support services open to listeners both in prison and beyond custody. The campaign also included inspirational interviews with prisoners and ex-prisoners who have broken free from addiction. The National Offender Management Service (NOMS) Safer Custody unit identifies January as a time of particular risk for self-inflicted deaths and self-injury in custody. 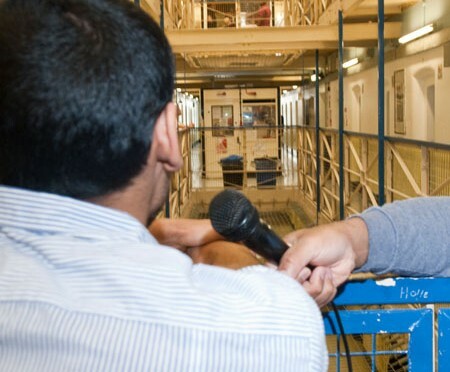 In January 2012, working closely with the NOMS Safer Custody unit, National Prison Radio broadcast a two week campaign encouraging prisoners to talk about how they’re feeling if they’re struggling to cope with life inside. The campaign featured ‘first night testimonies’ from prisoners, challenging myths about what prison life is like. It also included interviews and features designed to break the taboo surrounding depression, informing prisoners of the signs that someone may be at risk and giving clear information about some of the processes and policies they may come into contact with in prison. The campaign promoted The Listeners service run by the Samaritans in prisons, featured the launch of Childline in prisons for young people, and highlighted the work of the Sporting Chance Clinic and CALM. Almost half of the prison population has a reading level at or below the level expected of an 11 year old, a fact that can render these prisoners virtually unemployable and create a vicious circle that encourages reoffending beyond custody. 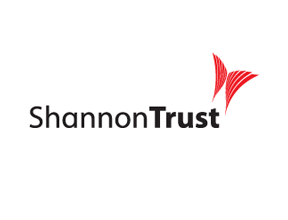 In June 2011, working in partnership with The Shannon Trust, National Prison Radio broadcast a month-long campaign highlighting the benefits of learning to read or improving one’s literacy skills and the help available to support learners in prison. The campaign included daily interview with prisoners, authors and education experts; inspirational poetry and drama features; a series of promotional adverts highlighting the services of The Shannon Trust’s Toe by Toe reading scheme; and the launch of the National Prison Radio Book Club. This Sony Radio Academy Gold Award-winning campaign delivered key messages to prisoners to inform and educate them about drug and alcohol misuse and to promote the support services offered in prisons and in the community upon release. The campaign was designed to encourage inmates to recognise their needs and take the opportunity to seek help. More than half of those received into custody are problematic drug users, and in inner-city male prisons approximately 80% are found to have Class A drugs in their system on arrival. Prisoners who receive drug treatment during their sentences are 45% less likely to reoffend than those who receive no treatment. Produced in partnership with the Ministry of Justice Interventions and Substance Misuse Group and a range of voluntary organisations, the campaign covered a range of key issues, including the impact of drug use on the user’s family; self harm and its relationship with drug misuse; post-release support; and alcoholism. Imprisonment can damage family life, separating prisoners from their children and loved ones and making regular contact a challenge. Yet research suggests that having family ties can reduce the likelihood of reoffending by as much as 39%. Families are a vital source of emotional, practical and financial support that help prisoners get through their sentences and make the changes necessary to turn their lives around. NPR not only promotes the importance of rebuilding or maintaining family relationships through its programmes, but also allows the friends and relatives of prisoners to send messages of love and support to their loved ones in prisons. If you would like to request a song for somebody you know in prison, complete the form and a presenter will try to read out your dedication on The Request Show. Though we hope to be able to play your request, we reserve the right to decline to do so for any reason and inclusion of your song or message is not guaranteed. For example, we may not be able to include it if there is a high volume of requests, and we cannot play any music which we consider contains inappropriate content, glamorises violence or features offensive language.